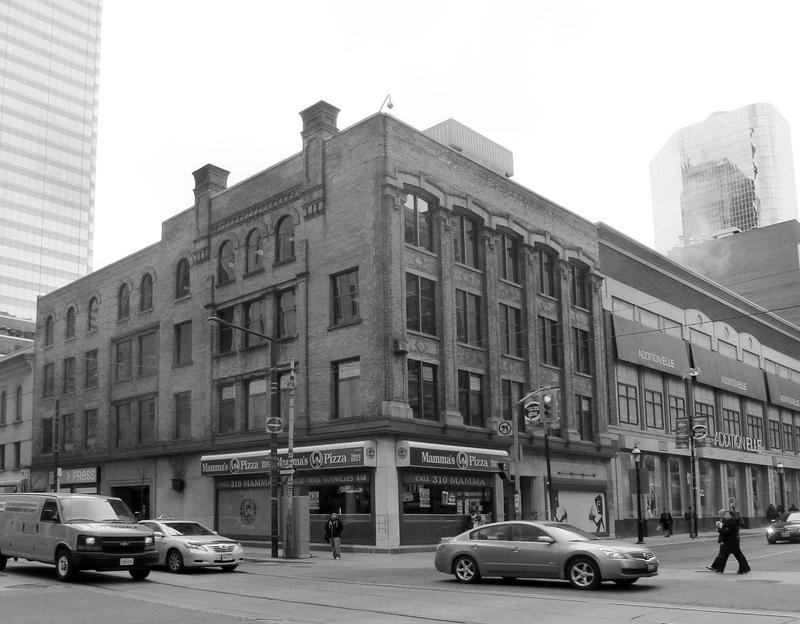 In the 1840s, a row of buildings known as the Elgin Block was constructed along Yonge Street. The block’s tenants over the next century included tailors, tanners, and tobacconists. Holt Renfrew and Company extensively renovated one of the buildings and operated in this location from 1910 until the 1950s. 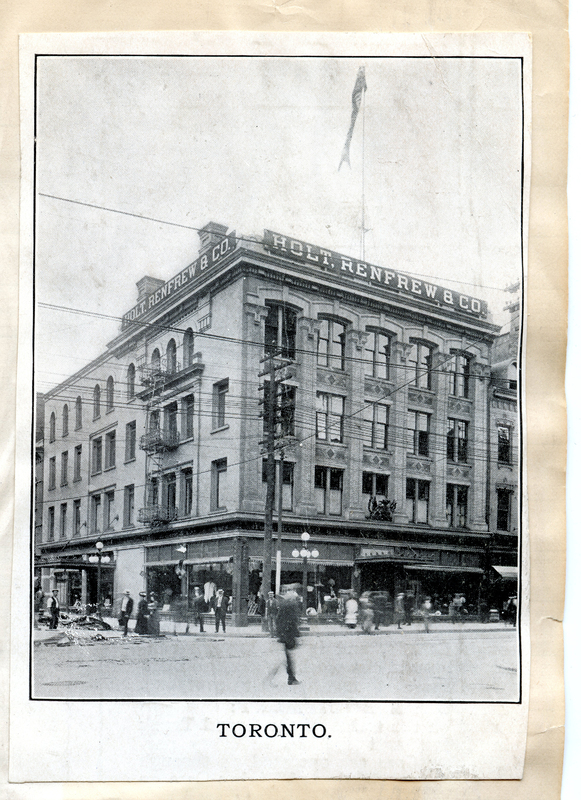 While much of the Elgin Block was demolished in the latter half of the twentieth century, much of the Holt Renfrew building survived. 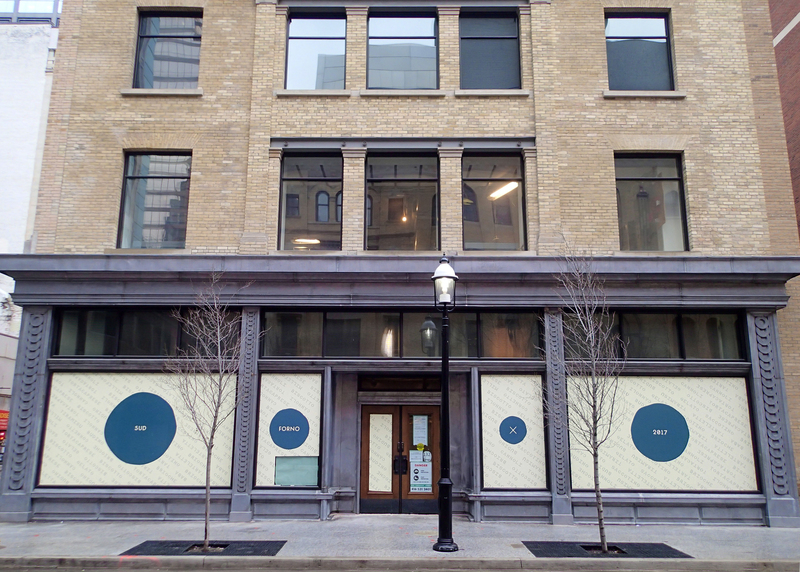 Significant portions of this building’s primary facades have been moved and restored, including the original 1910 storefront, as part of the Bay Adelaide East Tower development. The tower is a new component of the Bay Adelaide Centre, a commercial complex that will include three office towers, podiums for office and retail use, and public plazas. 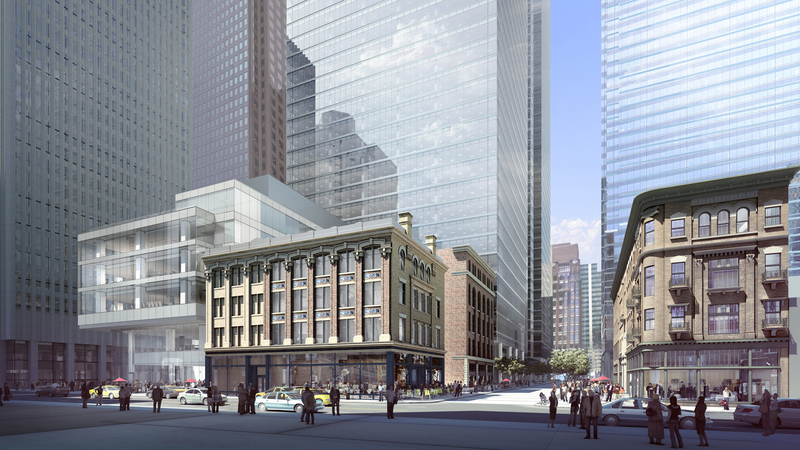 As part of ERA’s involvement with the Bay Adelaide East Tower project from 2012 to 2017, substantial portions of two heritage façades were relocated from the corner of Yonge and Adelaide to the corner of Yonge and Temperance. 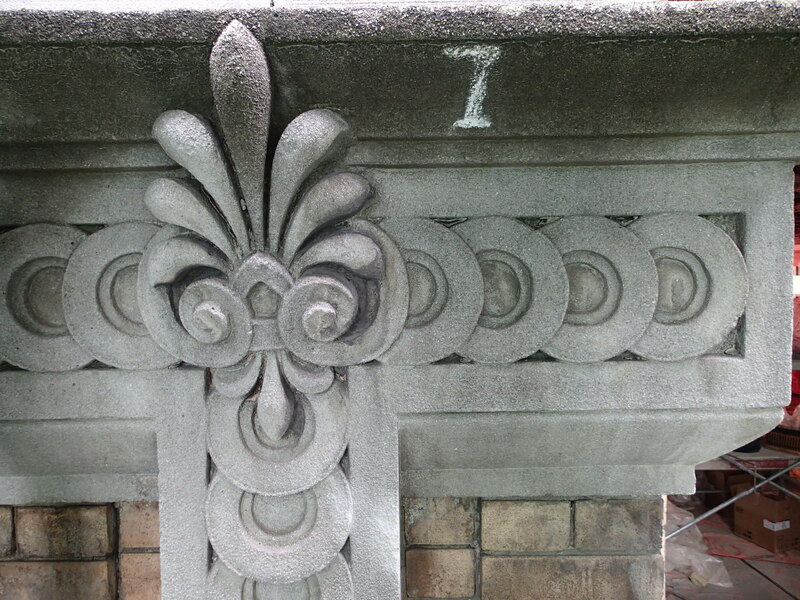 The facades underwent substantial cleaning, repair and rehabilitation as well as the restoration of many lost details from the 1910 renovation based on archival photographs and drawings. The conserved building in its new context, together with the Dineen Building across the street and the Aikenhead building adjacent, contributes to an intensification of heritage fabric at the east end of Temperance Street. Masonry move and rehabilitation: the masonry was relocated from the corner of Yonge and Adelaide to its current location, one block to the north. In addition to conventional brick-by-brick disassembly and rebuilding of some brick areas, the lion’s share of the masonry was moved using a technique called panelization. In this instance, the panelization involved the addition of a grid of steel reinforcing bars and spray-applied shotcrete to the inside face of the brick walls, followed by saw-cutting the building into panels based on the structural logic of the facade. Each panel was individually lifted by crane onto a truck for transport to a storage facility. The building panels were similarly reinstalled in the new location onto an existing structure that had been modified to accept the new wall panels. Given that some panels were nearly 700mm thick, this required exceptional work and coordination from the construction and consultant teams. Once the building was reassembled and the required repairs performed, the building was gently cleaned to obtain a consistent appearance throughout. 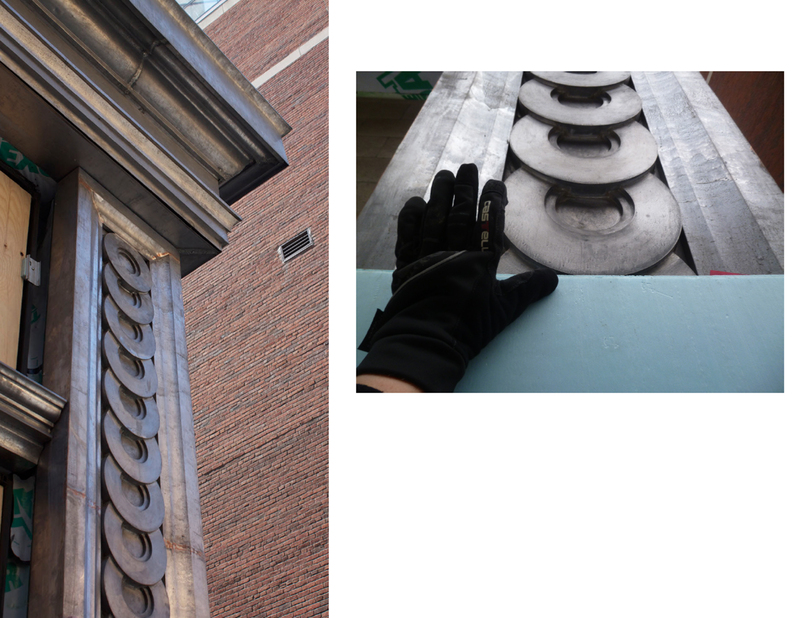 Refurbished 1910 Storefront and Metalwork: As part of the conservation work, ERA used archival photographs and architectural drawings to reconstruct the building’s impressively large cornices, which are formed in lead-coated copper over a wood and steel armature. The 1910 storefront was restored using a custom aluminum curtain wall cap and ornate lead-coated copper transom, sill and column details. All glazing was designed to mimic the appearance of traditional clear glass as closely as possible, while achieving the thermal performance expected from contemporary construction. The upper storefront windows employ a patterned glass to mimic the prism glass used in the 1910 facade. Ghost Wall Facade: Many options were discussed by the design team for the three bay wide gap in the Yonge Street façade between the heritage wall and the new Bay Adelaide East Tower podium. The Ghost Wall concept and materiality were based on the archeological reconstruction technique of anastylosis, whereby the original building fabric is clearly distinguishable from new materials that are introduced to fill in missing pieces. In this case, the use of a contemporary masonry material references the lost masonry fabric of the Elgin block that existed in this location, and more generally the many masonry facades that once dominated downtown Yonge Street. 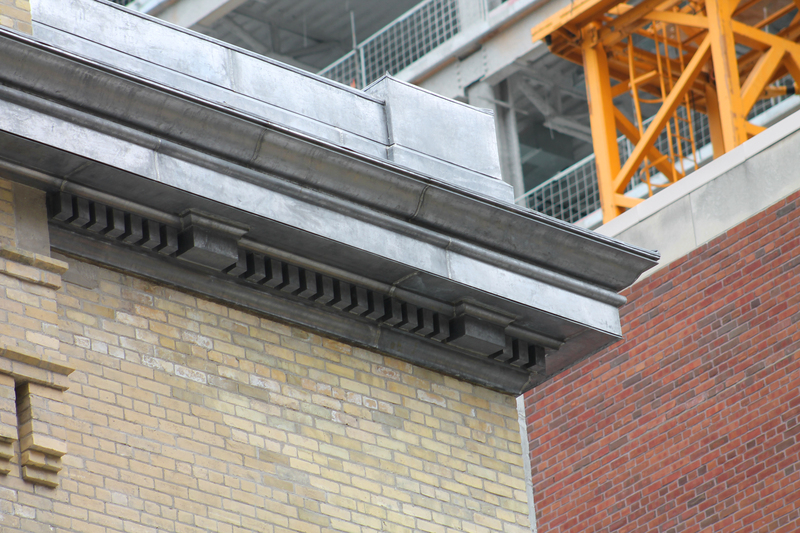 The form of the façade is a replica of the only remaining Elgin Block heritage fabric. It is built from glass-fiber reinforced concrete panels that were created from a combination of casts taken off the panelized heritage building masonry and CNC-milled moulds from the meticulously coordinated shop drawings for the new building elements. ERA worked with the prime, structural, and building envelope consultants to develop solutions, not only for the significant challenge of moving and reassembling the masonry panels, but in protecting the heritage masonry fabric its new and challenging environment. Each level of the building experiences different conditions: a restaurant at grade, potential office space at the second level, and an extended parapet condition at levels three and four, which enclose the cooling towers and generators for the entire office complex. This last condition is particularly challenging and resulted in the creation of a “dynamic buffer zone” – a narrow, fully conditioned space — behind the heritage wall. This buffer zone maintains the historic environment of the brick and protects the brick in the long-term from freeze-thaw damage due to exposure to exterior temperatures and moisture from the cooling towers. Significant effort was put into analysis of the brick performance at each level and into the development of details and selection of finishes to protect the heritage fabric while conserving the historic appearance of the building. UrbanToronto: "Heritage facade makes a move..."
The Globe and Mail: "Façadism isn’t a necessary evil; sometimes it’s just the right choice"